I was very impressed. I was referred to you by word of mouth, with the recommendation being passed on from me to others now too. The cable is great and the fact it arrived the next day was fantastic - and the price was excellent. Keep up the good work. 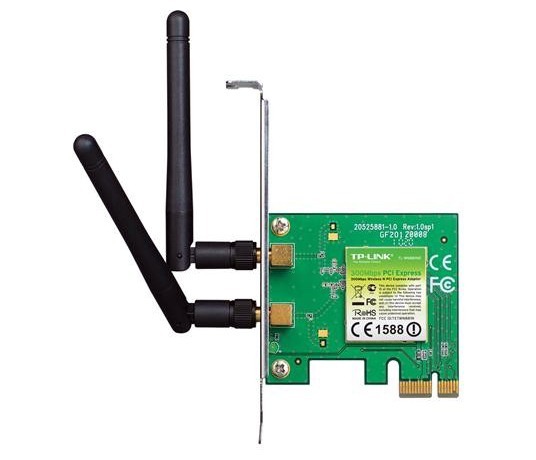 This Wireless N PCIe (PCI Express) Expansion Card lets you add 300Mbps Wi-Fi capabilities to a desktop PC with an available PCI expansion slot. Supports Windows operating systems from Win XP to Windows 8, and is seamlessly compatible with 802.11n/b/g wireless networks.